Organic Google Keyword Ranking Website Traffic Monthly Service - Until you Rank Up! 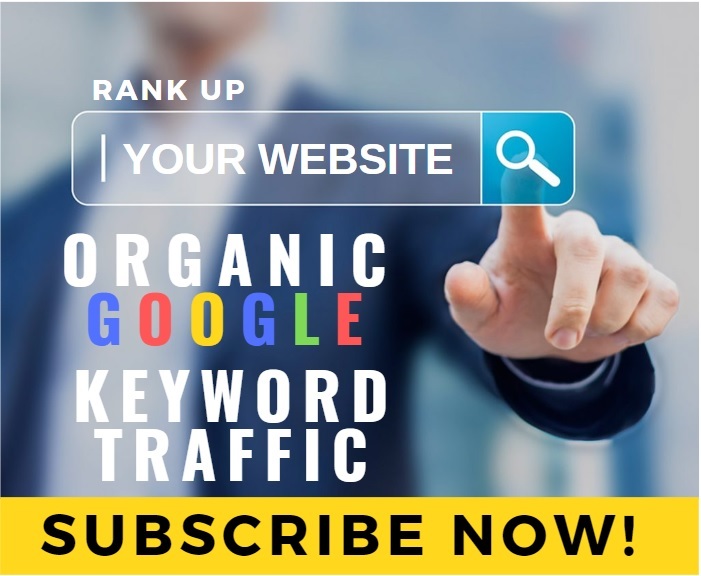 Starting from just $10 p/m, we can provide you with a very unique, powerful and practical Organic Google Keyword Ranking service, until you rank up! With hundreds of satisfied customers! Many great praises and positive testimonials! You can be confident of a great service that helps you to rank higher in the Google SERP's today. Check out some of our customer testimonials.. This is the same traffic as our other popular Organic Google Keyword Search Traffic Service, accept that this is monthly subscription based service. That way, you can take advantage of this service month in, month out. So that the traffic never stops or until it's ranked your site up! We've been providing to many people and many of which leave great reviews after using the service. But that was just for our one off services where you get a certain amount over a certain time frame. Now with this traffic subscription service you can get an unlimited amount of real people Google users searching in Google for YOUR keywords, brand terms etc and visiting YOUR site and interacting with it. This is a monthly subscription Google Keyword Search Traffic Service. We send real people using and searching in Google for your keywords and then click on your website in the SERP results and interact with it. This very act of people clicking through to YOUR site is a Google Ranking Factor and generally means and equals to the more people do it, the more your website rank higher in Google. So as this is a monthly traffic subscription service, every month your subscription will automatically renew and you will keep receiving traffic for every month you are subscribed to it. How much traffic you get per month depends on how big an order you place. Please view our plans and prices based on what you need. Plus any extras that you want to add on and order with it too. And we have some awesome extras so that you can not only get the traffic but also get a full allinone SEO service! + Get extra amounts added on. + Get different types of traffic too. + Add extra URLS and keywords. + Add SEO link building backlinks. + Add SMM marketing & promotion & more! Can target any Google country from A-Z. Many platform targeting options available. Will this traffic help me rank higher for my targeted keywords in Google? Probably yes like it did for us in the early days we noticed and used it and as we and more and more people are doing today. Just read our testimonials! Yes and no. Generally rank improvements do occur from the traffic and that is the idea behind this type of traffic. But we can't guarantee anything other than to send all the traffic in time of course. Is the traffic fully guaranteed? Yes fully. If we would ever fail to send the full amount to you in time then you are welcome to request mutual cancel request else work something else out for you. For any more questions, queries, requests etc, please feel free to send me a message.